UK: A Mitsubishi Corporation subsidiary will buy a 33.4% stake in the 950MW Moray East project awarded a contract for difference by the government in September 2017. Diamond Generating Europe (DGE), Mitsubishi’s UK subsidiary, will buy the shares from Spanish energy company EDP Renewables (EDPR). Mitsubishi would not confirm the cost of the transaction, but stated that it was likely to be concluded in 2018 prior to construction of the project. EDPR currently has a 77% stake in Moray East, which will fall to 43.6% following the DGE deal. French utility Engie owns the remaining 23% of shares in Moray East, which is scheduled to be commissioned in 2022. The Moray East site, 22km off the coast of Scotland, was awarded a £57.50/MWh (€64.10/MWh) contract for difference (CfD) by the UK government last year. MHI Vestas was announced as the preferred turbine supplier last October. 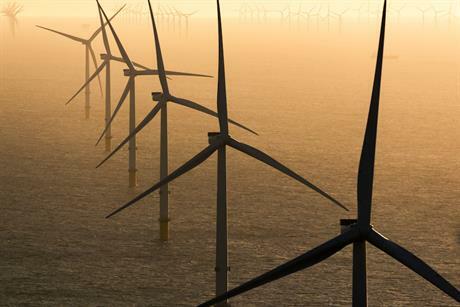 It is in line to supply 100 of its V164-9.5MW turbines for the site in the Outer Moray Firth. DGE said it has a "special team of highly qualified in-house professionals" working on other offshore wind farms, including the 130MW Luchterduinen off the coast of the Netherlands, and the 370MW Norther project off the Belgian coast. The company added that it would use its experience with these projects, commissioned in 2015 and due online in 2019 respectively, to "take greater initiative in the development, construction and operation" of Moray East.